Forget one specific deal. How do three whole days of sweeping deals across a variety of departments sound? That’s exactly what you’ll find at Old Navy. The store is offering the following online-only deals: today only (Jan. 21) receive 30% off, tomorrow (Jan. 22) receive 25% off and Friday (Jan. 23) receive 20% off. With this promotion, you can pick the perfect product (or products) that fit you. Don’t forget to enter promo code “SAVEBIG” at checkout to ensure you receive these savings. This offer is valid for eligible Old Navy merchandise (excluding Everyday Steals, Today Only Deals and Hot Deals merchandise). 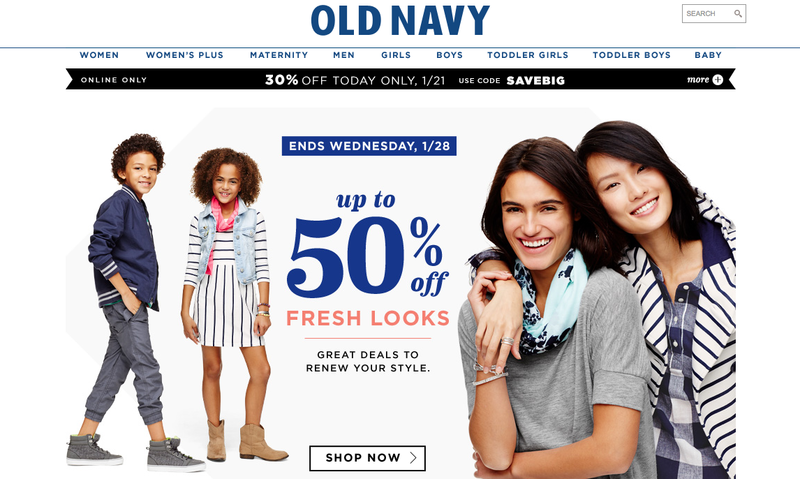 Shop this sale at Old Navy.